The act of a pitcher hitting a batter on purpose is inherently divisive. Some (mostly outside the game) see it as an outdated form of brutality that lost all reasonable claims to relevance the day that Don Drysdale … or Bob Gibson … or Nolan Ryan retired. 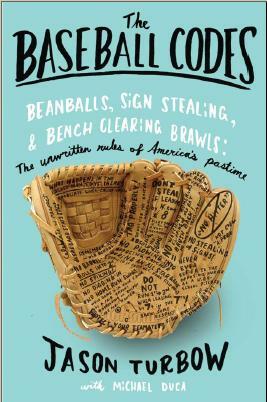 Others maintain that it helps keep order in the sport, and that its underlying purpose—to maintain respect among baseball’s ranks—is utterly justified. But everybody, no matter how divided of opinion or dogmatically entrenched in their respective camps, can agree that Brett Oberholtzer acted like a punk on Saturday. Houston’s 25-year-old starter, in his third major league season, had a rough go of it against the Yankees. He gave up a double to the first batter he faced, Brett Gardner, then walked a guy, then walked another guy. 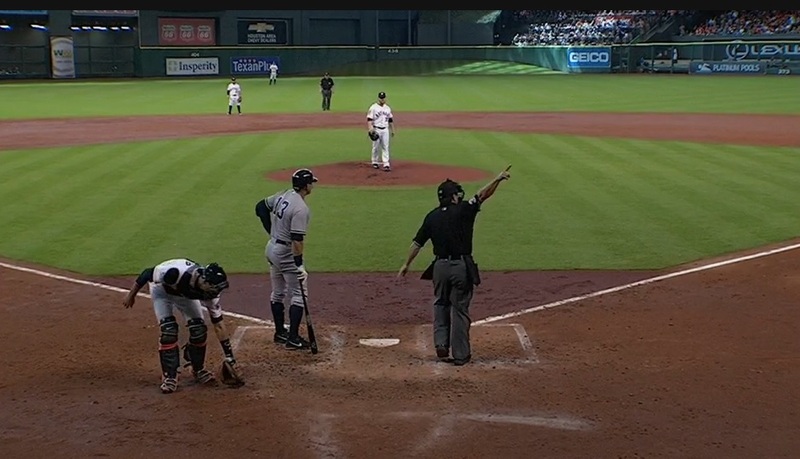 With one out, Brian McCann touched him for a grand slam. Five batters, four runs. His second inning wasn’t much better. After getting a quick out, Gardner again touched Oberholtzer for a double, then scored on Chris Young’s home run. At that point, the young pitcher had several options. He could turn toward grit, and steel himself to make the best of a bad situation. He could turn toward optimism, and the self-belief that absence of success in the past does not necessarily equate to absence of success in the future. He could have just gone into auto-pilot mode and thrown whatever the hell his catcher called, consequences be damned. “We were in Yankee Stadium one time, and I gave up back-to-back home runs to two left-handers. I’d given up back-to-back home runs before, but not to two lefties. And [6-foot-6, 210-pound slugger] Dave Kingman was up next, and I remember [catcher] Charlie Moore calling for a fastball away. He knew better. I shook him off. He went through them all. Fastball away. No. Curveball. No. Changeup. No. Fastball in. No. And then he goes [flip sign, indicating a knockdown pitch]. I nod. I threw it and it was one of those real good ones—it went right underneath him and almost flipped him. He was all dusty and his helmet was over here and he was grabbing his bat and his helmet, and he gets right back in there. I threw him a changeup and he popped up to first base. And as he made the out, he rounds first base and is coming toward the mound. I’m trying to get my glove off, because I’m figuring to myself, if I’m going to die I’m getting the first punch in. And he came right up to the dirt and then just went around it. He pointed at me and said, ‘There’ll be another day, young man,’ and just kept on going. I saw him about 10 or 12 years after that said, ‘Dave, do you remember that incident?’ He looked me right in the eye and said, ‘No.’ Just like that. The modern landscape is different, of course. Even with increased awareness that hit batsmen are of little benefit to the game at large, had Oberholtzer utilized the lessons of his forebears and simply knocked Rodriguez down rather than hit him, he would have received no more than a warning. Instead, he begged out of a game in which he stunk, in the most obvious way possible. No longer able to face his own failure, he emptied his aggression onto an opponent, and paid the price. So little place that after the game, Oberholtzer was optioned to Triple-A Fresno. The ultimate takeaway was elucidated by Hinch the following day, when he informed reporters that he had reached out to Yankees manager Joe Girardi to make sure that those in the New York clubhouse understood that things had been handled internally, and that nobody bore more ill-will against Oberholtzer’s act than the Astros themselves. In so doing, he cut to the core of baseball’s unwritten rules, and what makes them special. Previous postSo What’s an Inside Pitch Between Friends? Interesting that the commentator in the video thought the umpire grossly overreacted. I wonder if he’s a hopeless homer, or if his argument along the lines of “didn’t hit the batter, wasn’t behind the batter, wasn’t high” has any merit at all? Put another way, if I’m on the hill and I’m getting wrecked, I’m going to need every inch of the plate and a few inches more.